In a small bowl, combine the vinegar with the olive oil; season with salt. Add the shallots and 1 cup of the basil and toss well. 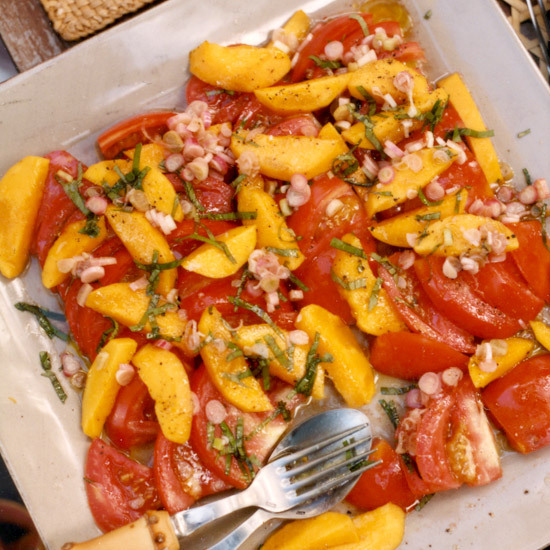 Arrange the tomatoes on a platter and top with the mango slices. Drizzle with the dressing, garnish with the remaining 1 cup of basil and serve.